So as some of my original followers will remember I started my stalking antics by profiling what people wore inside one of the most exciting fashion houses at the moment, yes that would be Burberry. Well these days I've wandered onto pastures new but I couldn't help but snap a dear friend who works there, wearing one of my favourite skirts! Burberry Prorsum baby! This chick always has the coolest style - wearing a Burberry Prorsum SS12 skirt and Karl by Karl Lagerfeld tee and a gorgeous leather jacket - I think you will agree she's totally rocking this look! That skirt looks amazing ! wow, this skirt is amazing! love the skirt so much!! 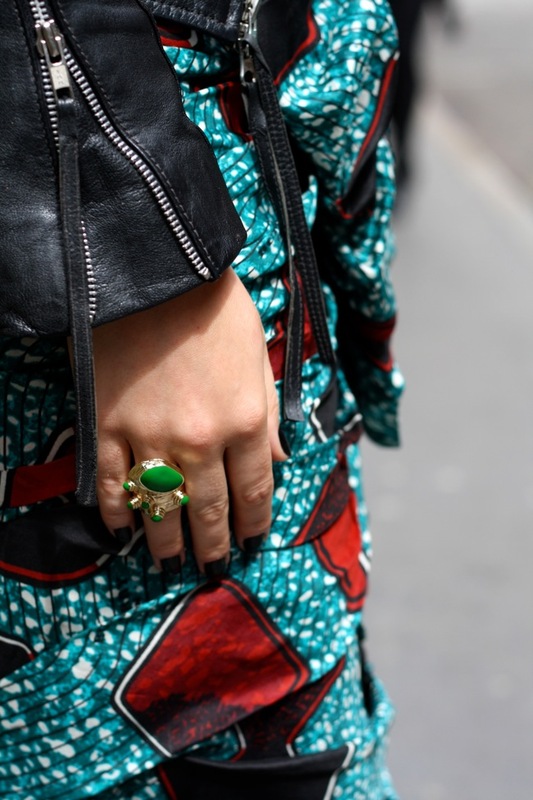 Gorgeous skirt - the print and vibrancy is amazing!! Ok. So this skirt is to die for. Absolutely love the print and midi-length.